For a great getaway to the beach, stay at MainSail #271 in Destin, Florida. This family friendly gated community will be the perfect choice for your family vacation. 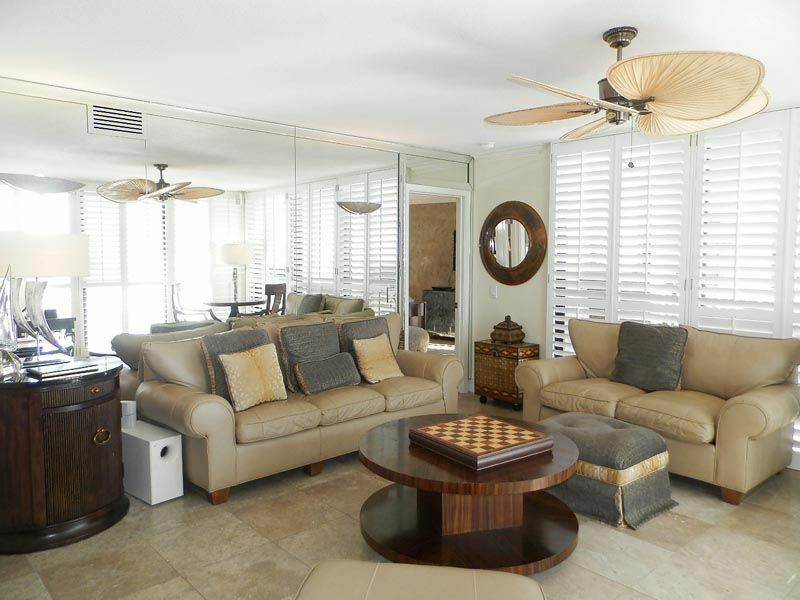 Full views of the Gulf of Mexico can be enjoyed from this three bedroom condo. Located on Scenic Highway 98, you will be a short distance away from Silver Sands Outlet Mall, Starbucks and many delicious restaurants. Enjoy the community pool, hot tub, fitness center, game room and shuffleboard when you stay at MainSail. This condo also comes with a full kitchen, a king bed, a set of twin bunks with a twin trundle bed a queen sleeper sofa in the living room and free WiFi. This condo had one of the best views! Also so close to beach ( just down elevators and right out to beach)! Only a few things negative to note: 3 rd bedroom is really a pull out couch. Furniture in front of couch was heavy to move. Also no blankets and the sheets we did have for all the beds were scratchy and not too comfortable. The furniture outside in deck had bolts coming up into the seat and were in pretty bad shape and uncomfortable. Otherwise, the condo was great and would definitely go back! Thank you for your review. We apologize that you did not have blankets upon arrival. We hope that you come back again next year. We're glad you enjoyed Mainsail and all it has to offer! We loved where we stayed and had an amazing time. The Condo was especially nice and had all the room that we needed for our family. The view from the balcony was absolutely fabulous and the furnishings for the condo were amazing. We would like to rent this same condo for two weeks next summer. The only negative was that the floors were not cleaned when we got there and areas of the condo were sandy. The ice maker did not work but that was taken care of immediately upon our contact with Southern Rentals. We would definitely recommend rental of this condo to others looking for a great place to stay. We appreciate your feedback and we are so happy to hear we will be seeing you next year! We left it was so dirty and broken things. Lights not working. The kitchen was just terrible.